A post-freeze, wintery sight beckoned me to get to work down in the dahlia beds. A slight thaw and sunshine prompted me further. 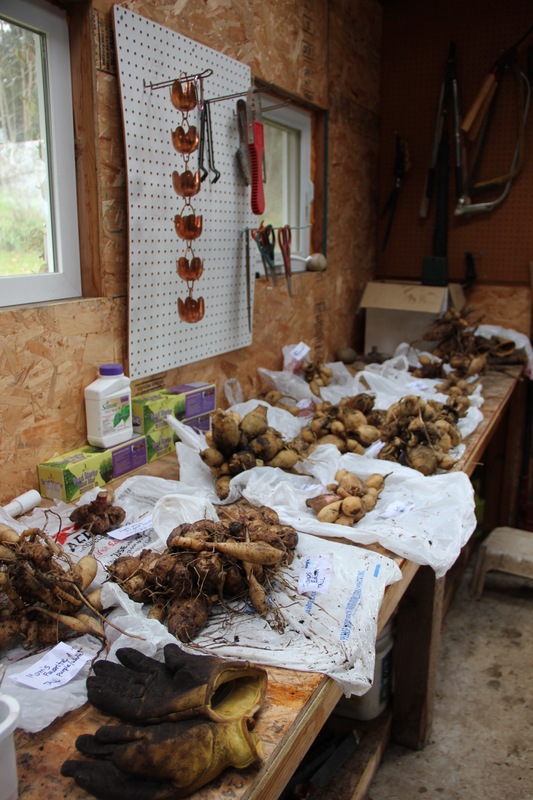 Carefully digging the clumps of tubers, keeping them grouped by variety, hosing them off and allowing them to dry, bagging them in sawdust and shavings, and labeling the bags before loading them into cardboard boxes for storage all takes time and serious effort. It has taken me the better part of two mornings. Many clumps broke apart as I cleaned them, which was a good thing. I’ll divide these further in spring when they form definitive eyes making it simpler to do. 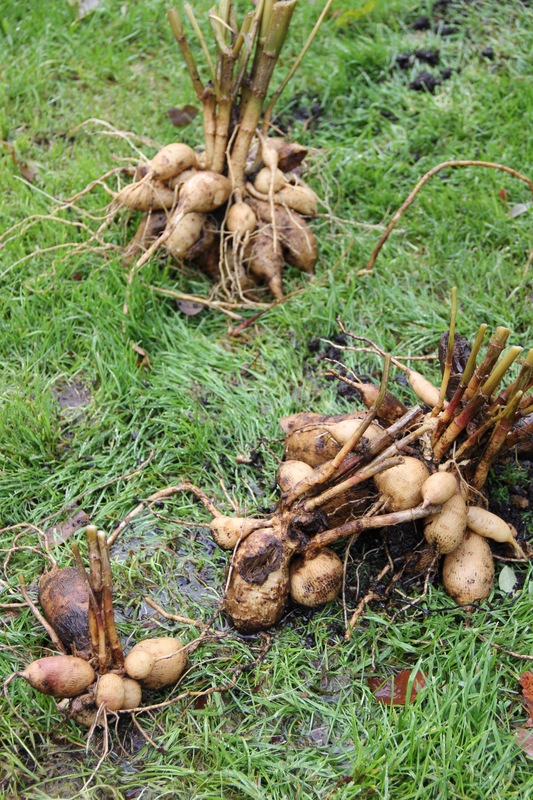 Eagerly, I ordered many new tubers from Swan Island in November. They’ll show up on my doorstep in time for late spring planting. 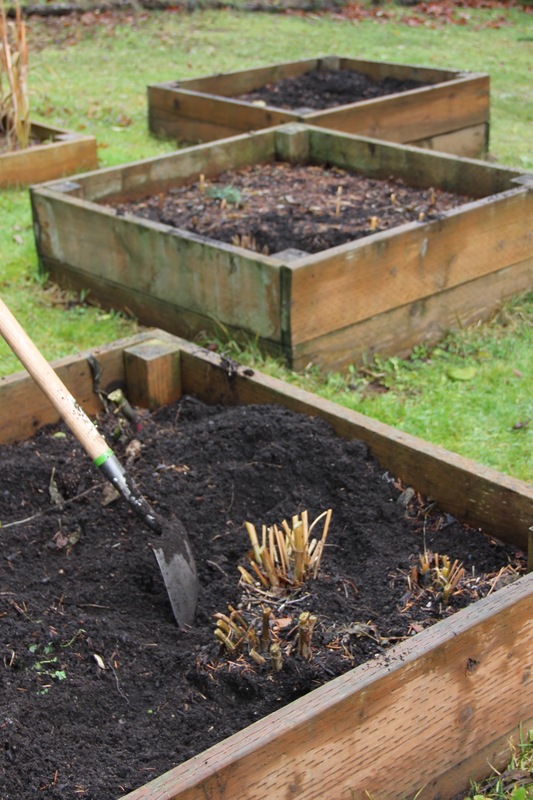 About a month before planting, we’ll prepare the five beds by mixing in sand and manure. I’m excited by the prospect of grouping bloom colors in a new fashion, adding back the tubers I dug in spots where they’ll shine. Based on the large order I placed, I hope to add dahlias to a couple other beds in these gardens. I’m well on my way to becoming addicted to the beauty of dahlias. 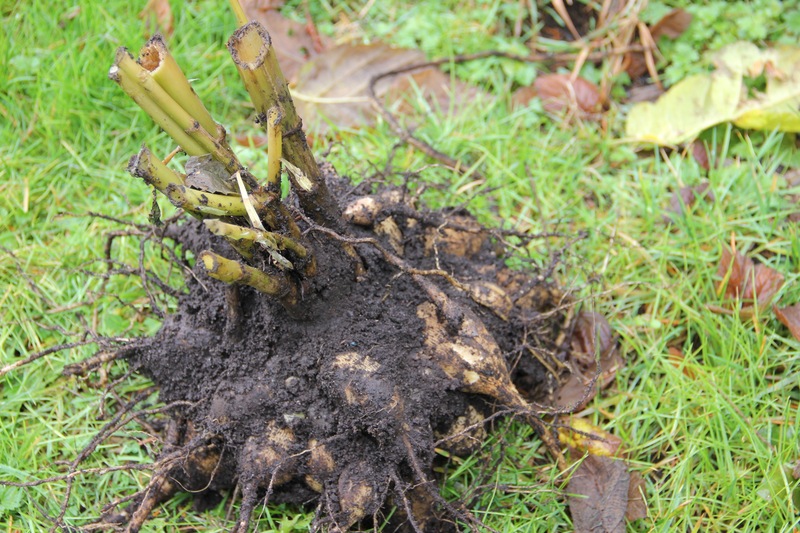 This entry was tagged dahlias, dividing dahlia tubers, gardening, overwintering dahlias, Swan Island, Western Washington. Bookmark the permalink. Wow, a lot of work, but if you are like me, the thought of what they will look like next year keeps you going! Exactly! Have a wonderful Christmas, Eliza.